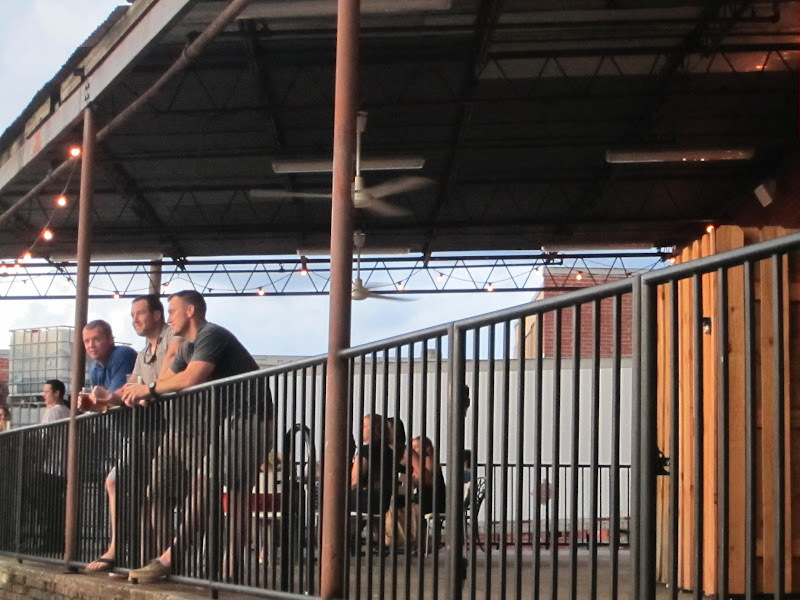 This past Saturday night, we met up with friends for something a little out of the ordinary. 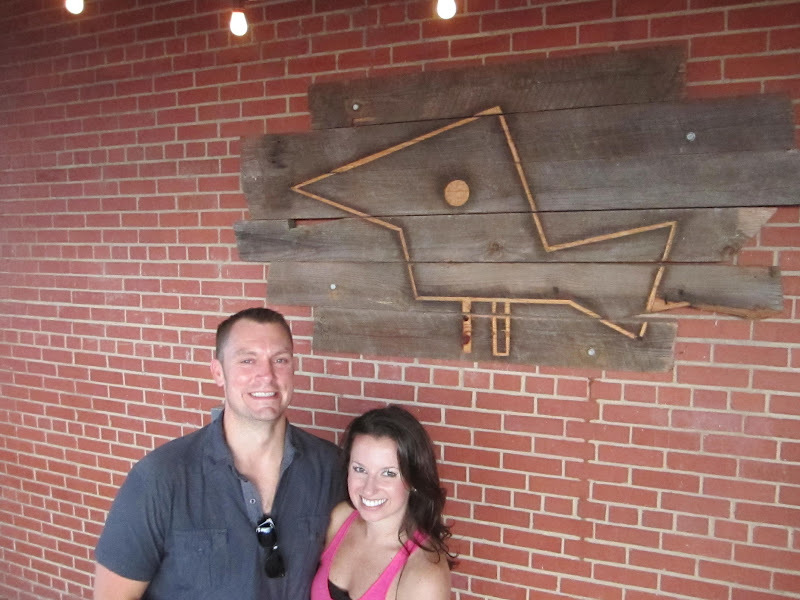 We checked out two local Charlotte breweries! 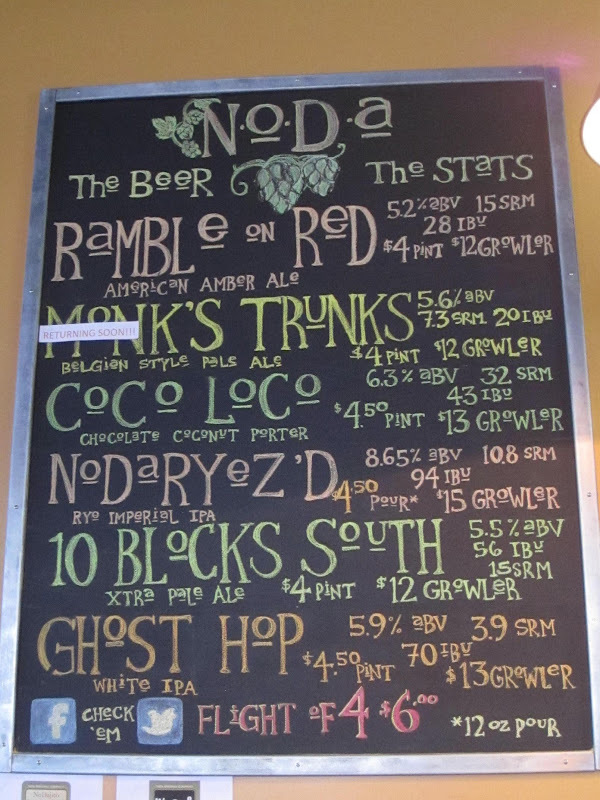 The first stop for our evening was NoDa Brewing Company, which boasted quite a fun selection. 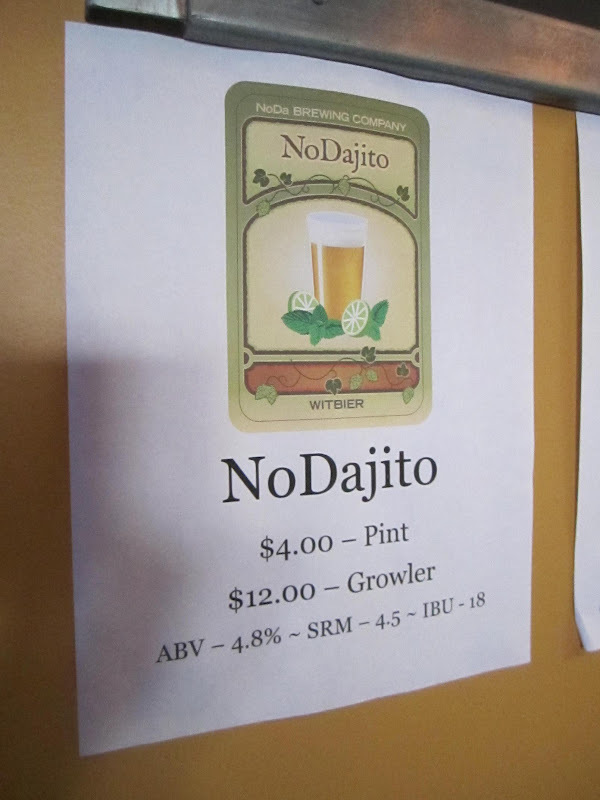 One of the featured beers of the evening was this ﻿NoDajito, which was a lighter beer with hints of mint and citrus. Of course I gave it a run! It was quite tasty. 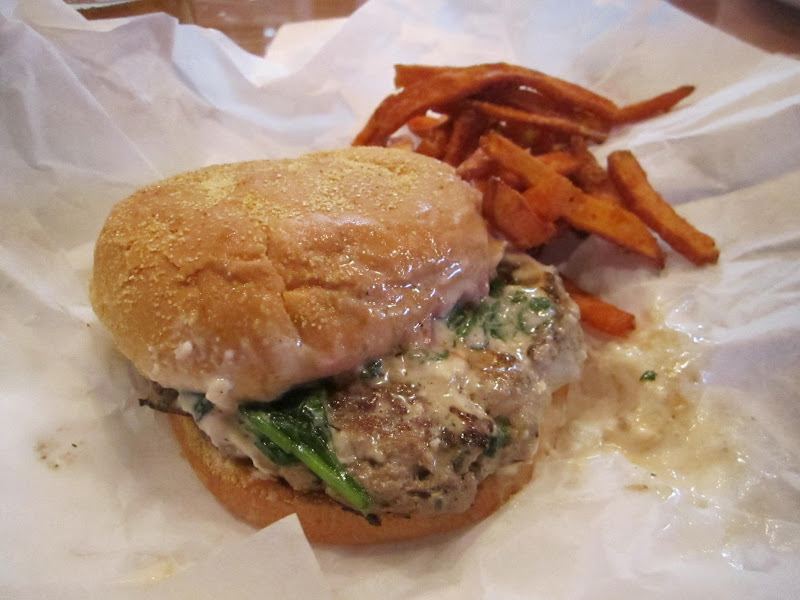 Ian ordered the most amazing turkey burger for me that was topped with gooey cheese and sauteed spinach. 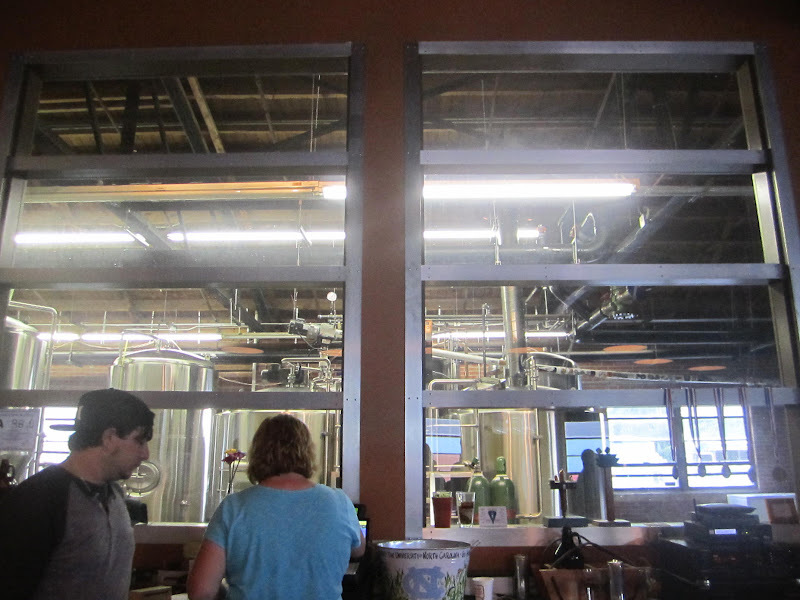 After dinner, we walked next door to Birdsong Brewing Company. Their selection was quite good also, and we all ordered the same beer -- their Jalapeno Pale Ale. It had the exact taste of fresh jalapenos minus the crazy spiciness. Not too long afterwards, a crazy storm rolled in, and we were so thankful for the covered deck. They even have a huge oversized game of Jenga that some folks started playing. Sounds like a pretty perfect summer evening! And that limey minty beer sounds AWESOME! Beer does make you sooo full! Looks like fun! 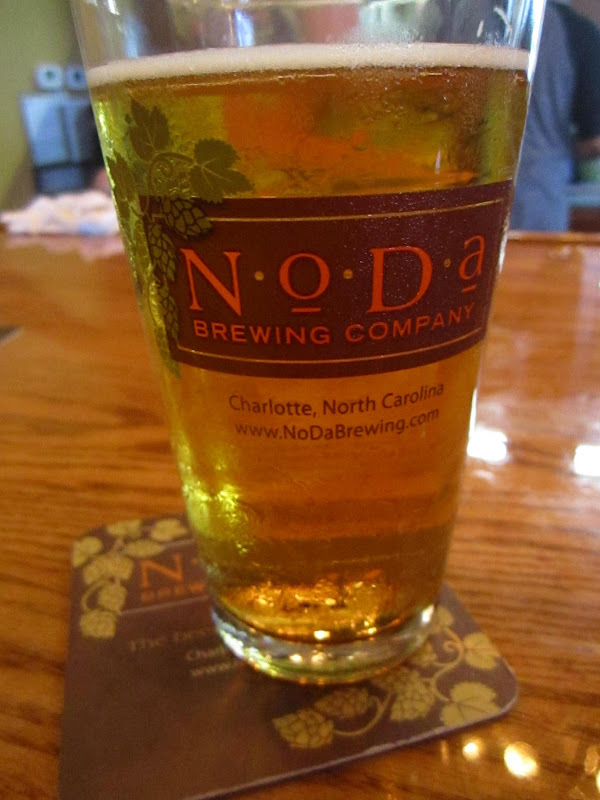 I ventured to NoDa Brewing Company for the first time the weekend before last and the NoDajito was my fav! 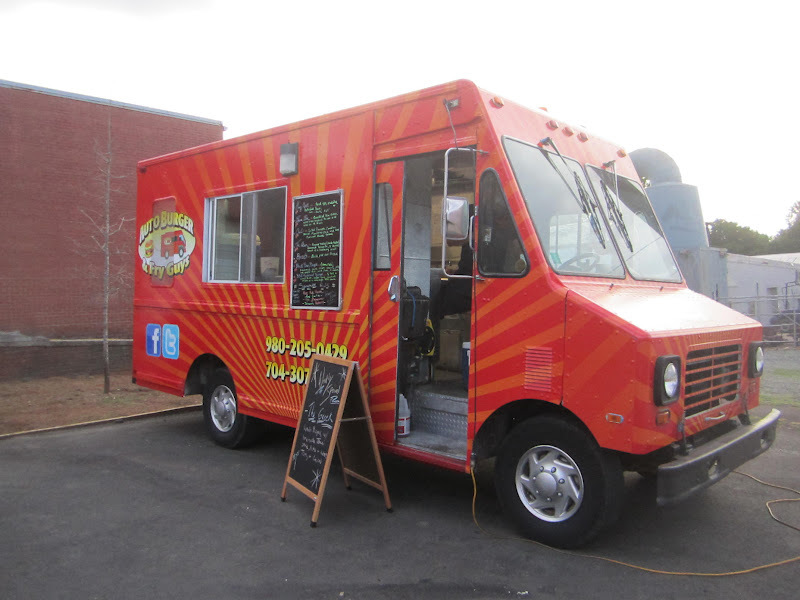 I'll have to check out the food truck next time. Love the maternity skirt - just this weekend I was at Target with some girlfriends, discussing how cute their maternity clothes are! 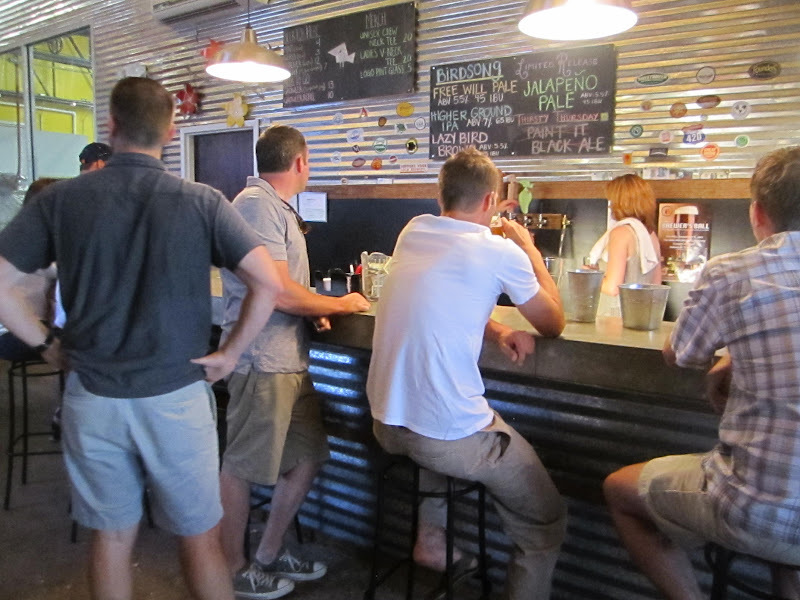 Love small breweries. This makes me want to move to Charlotte! Oh boy. I want an oversized Jenga. That would def have me make friends with my neighbors-of-four-years-who-act-like-we-don't-exist. ha! BTW I love CLT. Can we meet up the next time I am there? Maybe you won't be on vacay... pshhhht. 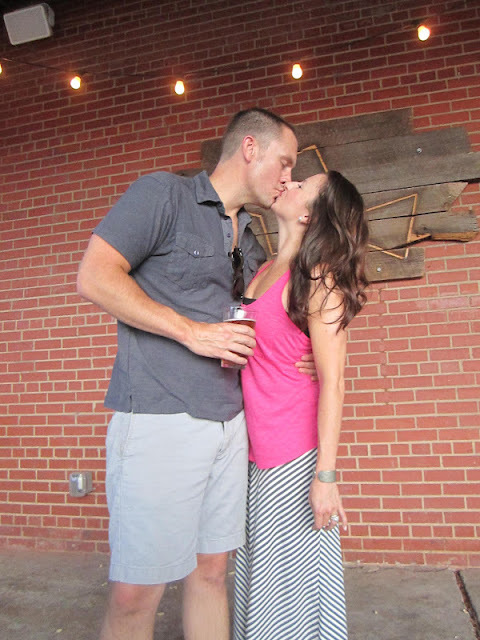 I noticed in your lovey kiss photo with the hubs your silver cuff bracelet. I have one that has peonies, my birth month flower on it, from a MD-based company called Salisbury pewter. Is your bracelet from them too? That looks like fun!! 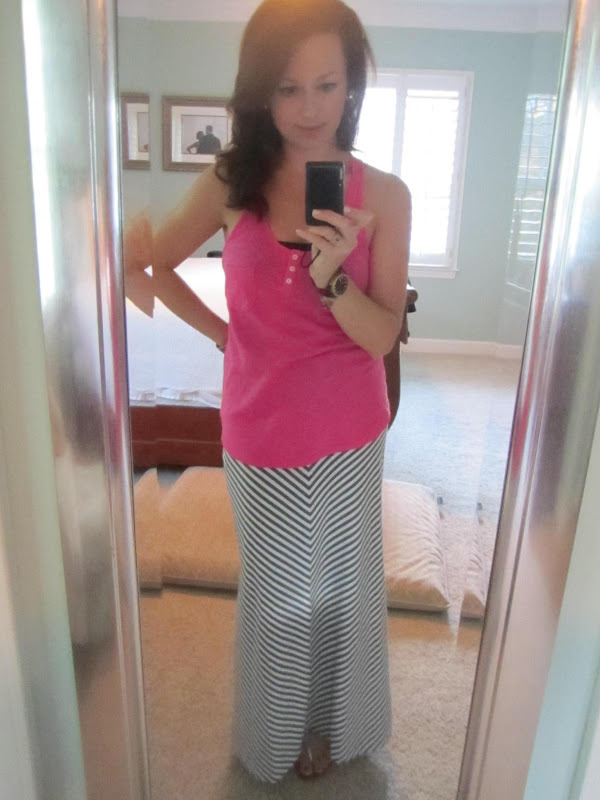 And super cute outfit, I bought maternity workout pants one time and kept them because the expandable waist. Shameful, I know. 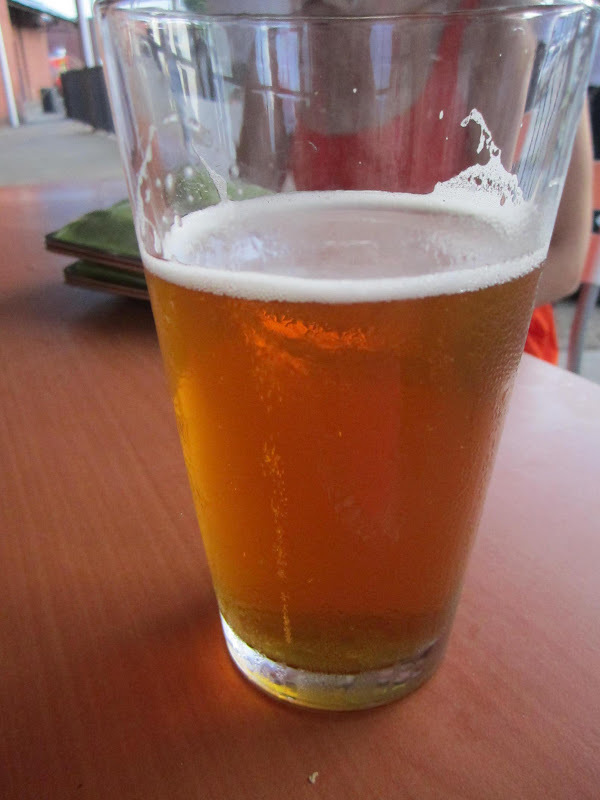 Wow that jalapeno beer looks AMAZING. Any idea if they sell it outside of Charlotte? What a fun idea! 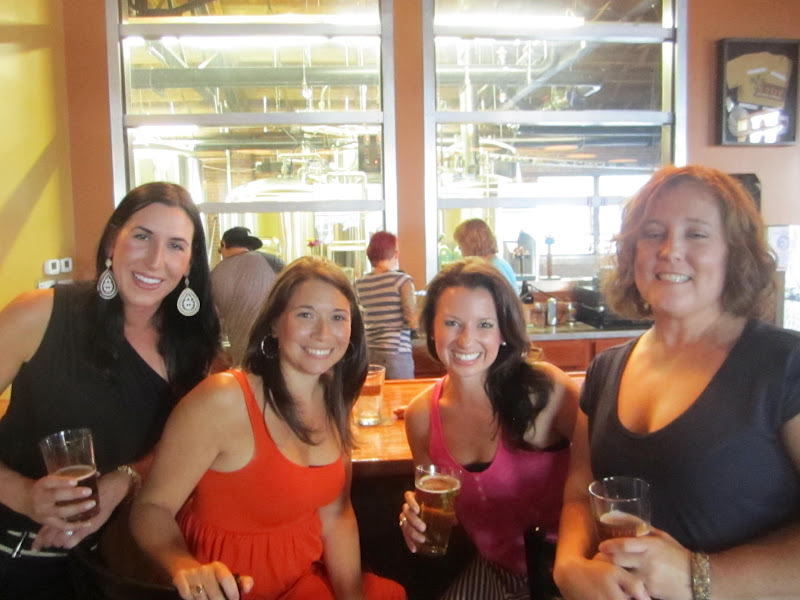 I'm going to start researching breweries around Baltimore right now! What a fun evening. 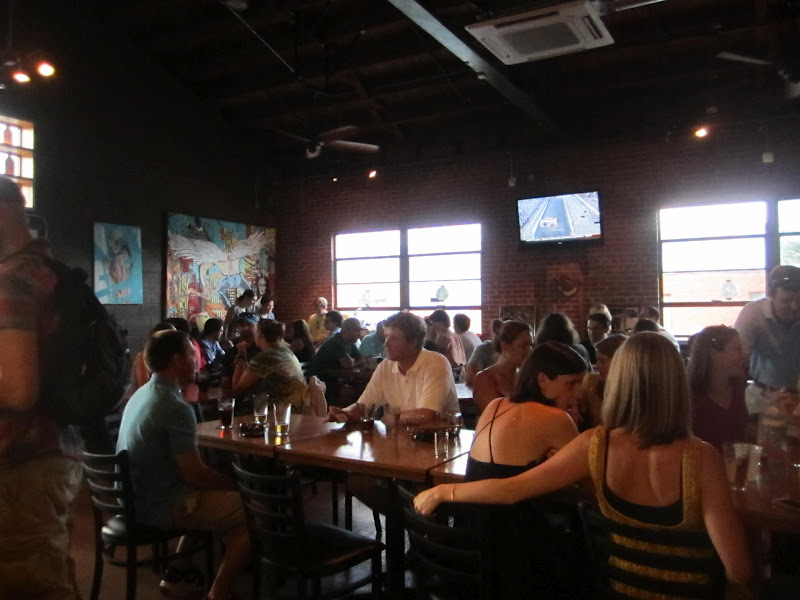 I can't believe how long I've been in Charlotte and haven't been to these places. best Saturday ever!! I think one day you'll be so happy that skirt is maternity! Also - I am drooling over that turkey burger. omg. Okay... so did you see my post on this?? Hilarious!